under carousel showcase, Energy, energy efficiency, News, Poo Power! It’s never been easier to generate your own power. Israeli startup Home Biogas has developed a relatively affordable home-sized biogas unit that allows people to convert their own waste into fuel. 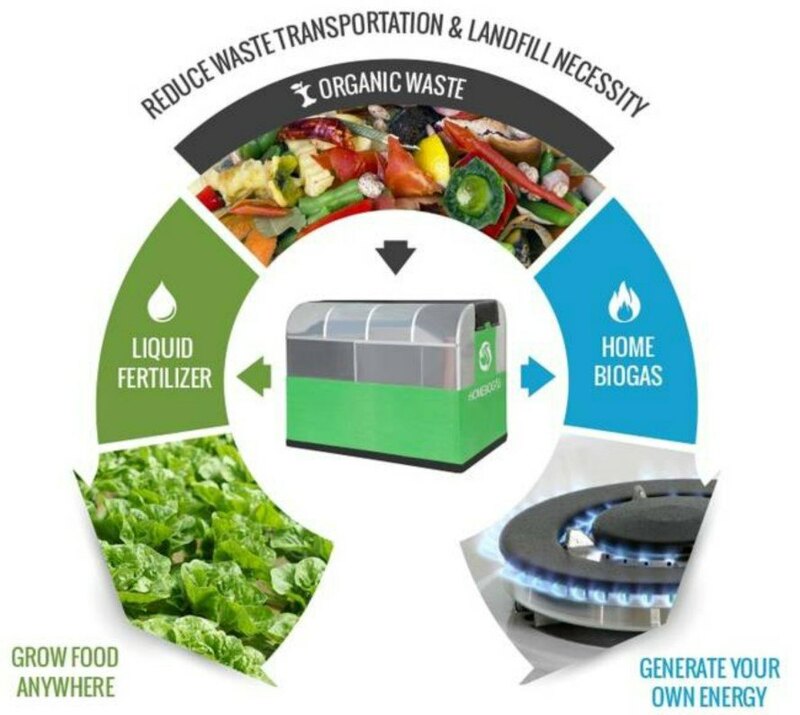 The compact unit, which is currently running a crowdfunding campaign to support its production costs, lets everyday homeowners convert their organic waste into enough gas for 2-4 hours of cooking and 5 to 8 liters of liquid fertilizer per day. The HomeBiogas unit is a perfect match for homeowners who would like to start a full-cycle waste recovery system in the comfort of their own home. The unit has the ability to take in up to 6 liters per day of any food waste or up to 15 liters per day of animal manure and turn it into fuel for cooking as well as organic fertilizer. HomeBiogas is being marketed to the average homeowner, either already off-grid or just looking into a “homemade” renewable energy source. According to the system details, the unit can convert just one kilogram of food waste into about 200 liters (7 cubic feet) of gas, more than enough to fuel an hour’s worth of cooking. In addition to its reasonable cost and exceptional environmental value, the sleek rectangular unit is quite easy to use and easy-to-assemble. In fact, it measures in at 48”x65”x39.4” and weighs less than 88 pounds. 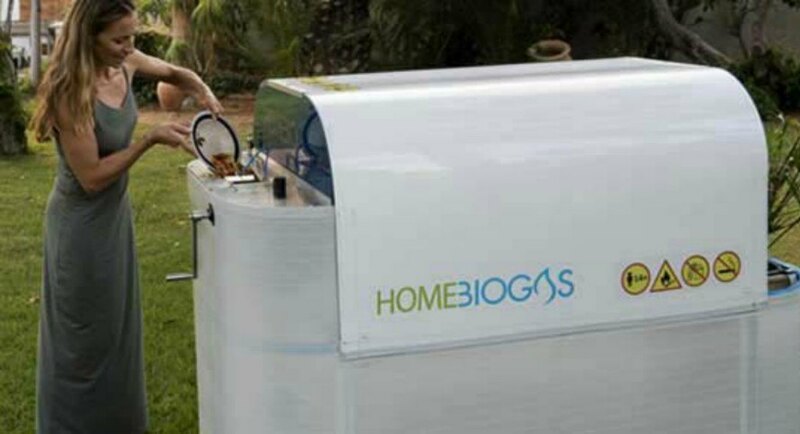 If you’re interested in buying the HomeBiogas unit, the company is offering supporters an opportunity on their crowdfunding page to reserve one with a pledge of $890. Once the campaign is over, the unit will go back to its regular retail price of $1500. The compact unit lets everyday homeowners convert their organic waste into enough gas for 2-4 hours of cooking and 5 to 8 liters of liquid fertilizer per day. 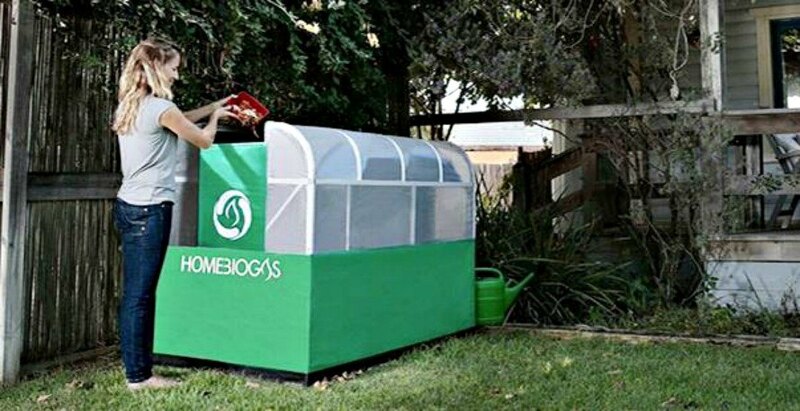 Israel-based startup Home Biogas has developed a relatively affordable home-sized biogas unit that allows people to convert their own waste into fuel. The company is currently running a crowdfunding campaign to support its production costs. The HomeBiogas unit is a perfect match for homeowners who would like to start a full-cycle waste recovery system in the comfort of their own home. The unit has the ability to take in up to 6 liters per day of any food waste or up to 15 liters per day of animal manure and turn it into fuel for cooking as well as organic fertilizer.